abstract | How does access to independent media affect voting behavior in an environment where media are largely captured by the state? To answer this question we conduct two parallel randomized controlled experiments during the September 2016 Russian parliamentary elections. In a first experiment, we randomly select 15 out of 42 otherwise comparable mid-size cities, treat these 15 cities with an advertising campaign for the independent Russian online TV channel TV Rain on social media, and complement this offer with temporary free access to TV Rain. In polling stations where United Russia (UR) collected a small share of the popular vote in 2011 our treatment leads to lower turnout, as well as to a clear decrease in votes for UR and an increase in votes for the main liberal opposition party. These effects become smaller, however, in localities where UR collected relatively more votes in 2011, and are completely reversed where the support for UR was highest, clearly indicating that our treatment leads to polarization of the voters. In a second experiment we randomly treat subjects with free access to TV Rain during the first wave of an individual survey conducted 2 weeks before the elections. The second post-election wave of the individual survey reveals that our treatment leads to a polarization effect that is very comparable to what we found in the city level experiment, but only for subjects that use social networks as a source of information experience. 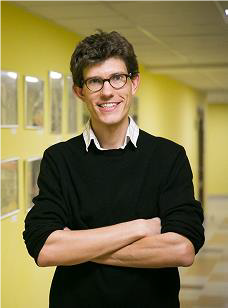 bio | Michael Rochlitz is a research fellow at the Institute of Sociology at LMU Munich, as well as an associate researcher at the International Center for the Study of Institutions and Development (ICSID) at HSE Moscow. He holds a PhD in Political Economy from IMT Lucca.